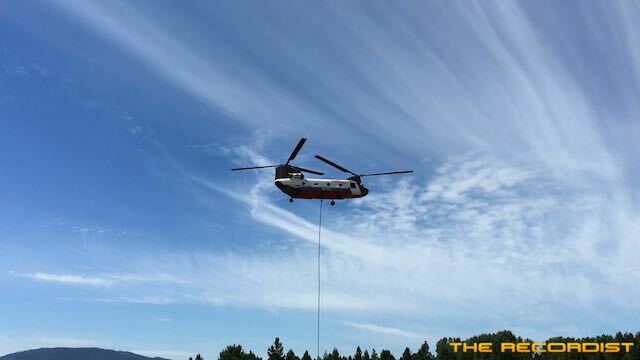 Exterior recordings from a CH-47D Chinook that was performing fire fighting duties during the summer of 2017 and 2018. 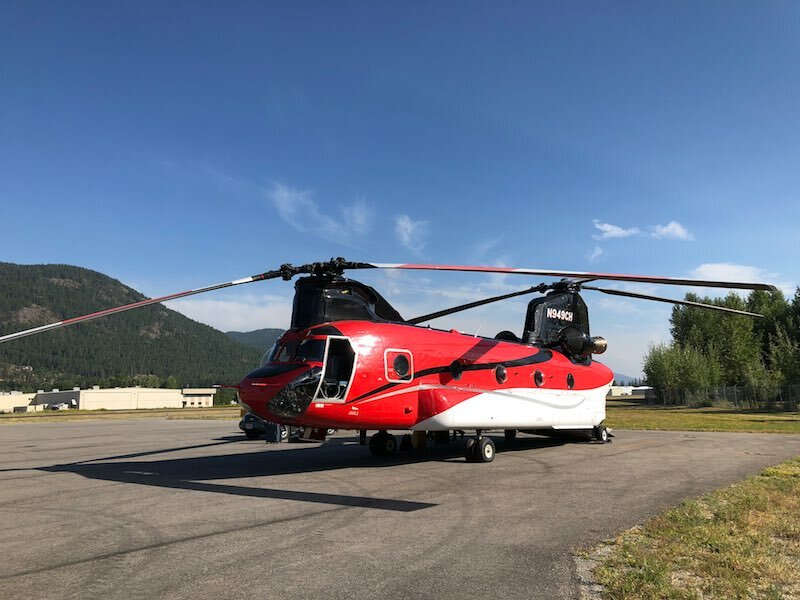 The collection includes arrivals and departures while refueling and fighting forest fires. 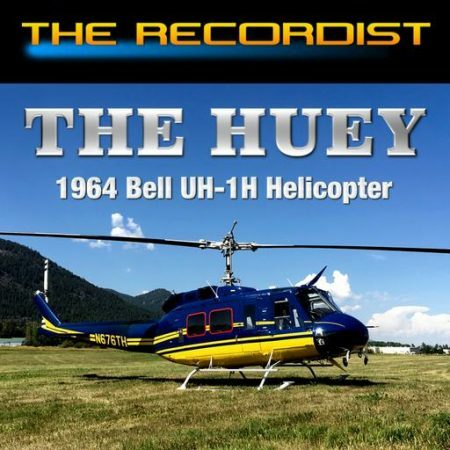 Updated: 9-10-18 – 8 new sound files. 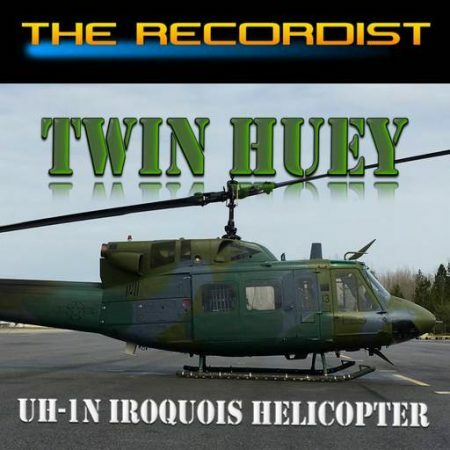 All new recordings from summer 2018. Included are close up and distant engine starts, hovering, departing and arriving. 8 new sound effects in this 3.4GB update! 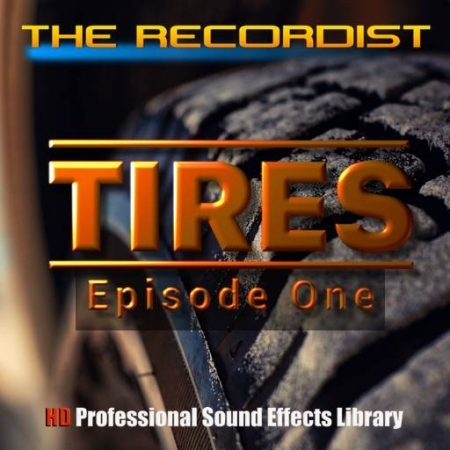 Contact The Recordist if you are a current license holder and get the new sounds for free. 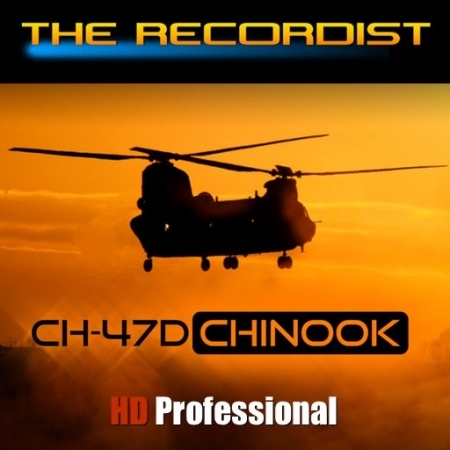 If you are a single or multi user license holder of Helicopters HD Pro (which includes CH-47D Chinook sounds) and want additional Chinook sounds, this collection is for you! 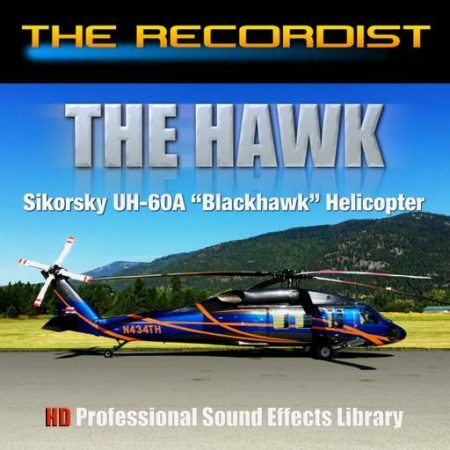 These are all new sounds and make a great addition to Helicopters HD Pro. 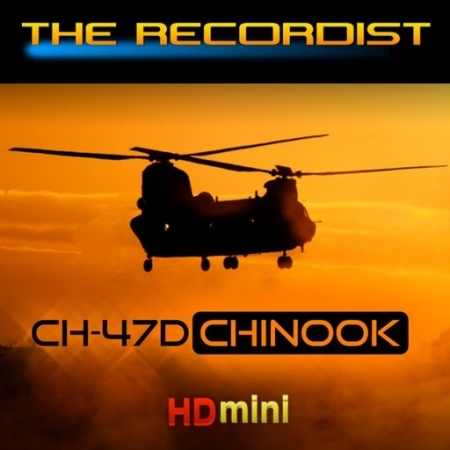 Exterior recordings from a CH-47D Chinook that was performing fire fighting duties during the summer of 2017. 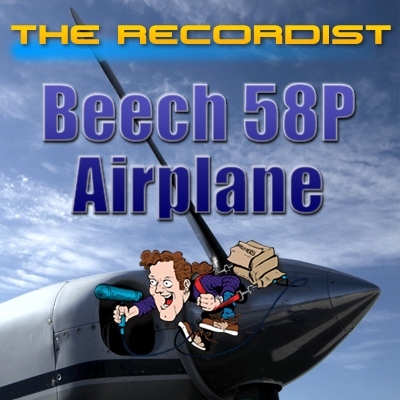 Recorded at a quiet airport with zero ambient background noise. 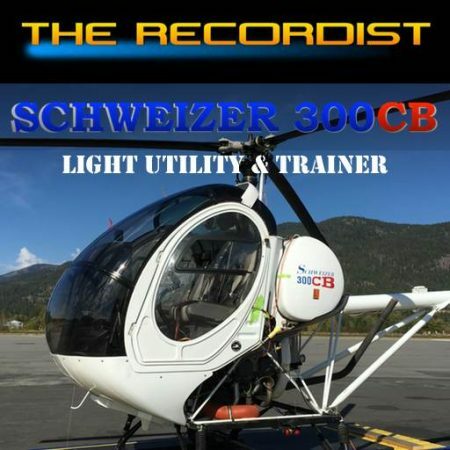 The collection includes arrivals and departures while refueling. 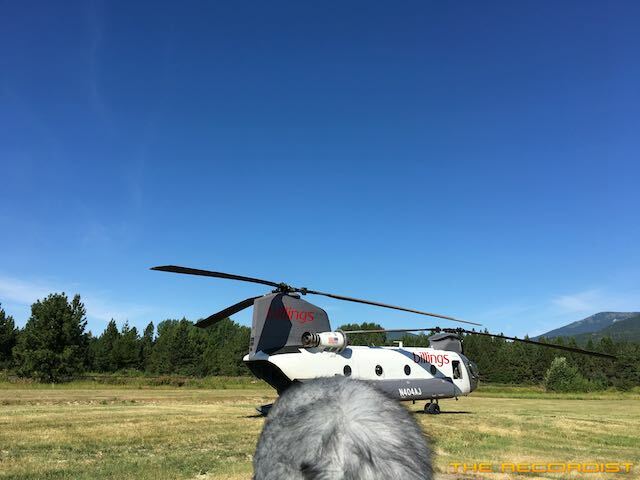 A single hand-held Schoeps MS set with a MK41 Mid microphone and MK8 Side microphone was used at multiple distances. A Sennheiser MKH8040ST XY microphone set was used for the APU (Power Unit). 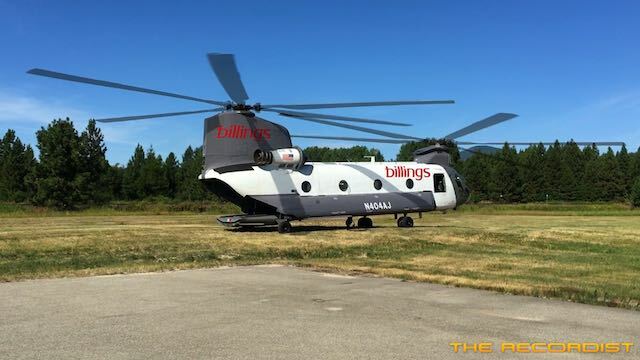 The Boeing CH-47 Chinook is an twin-engine, tandem-rotor, heavy-lift helicopter developed by American rotorcraft company Vertol and manufactured by Boeing Rotorcraft Systems. 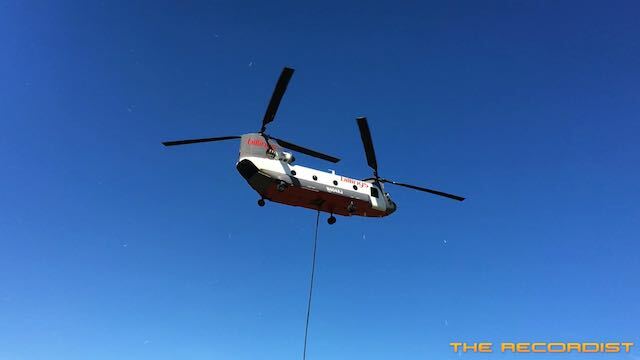 The CH-47 is among the heaviest lifting Western helicopters. 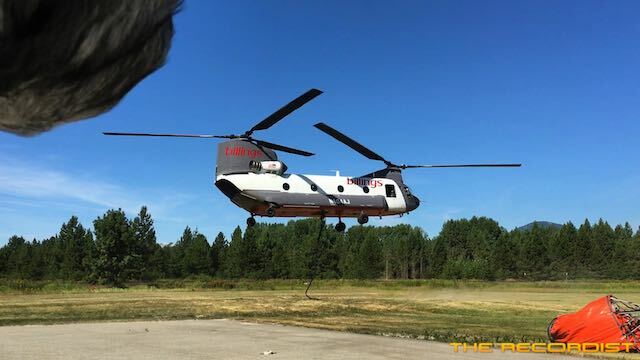 The CH-47D shares the same airframe as earlier models, the main difference being the adoption of more powerful engines. Being near this machine while it’s lifting off is thrilling to say the least. The wind gusts it produced almost knocked me over a few times. 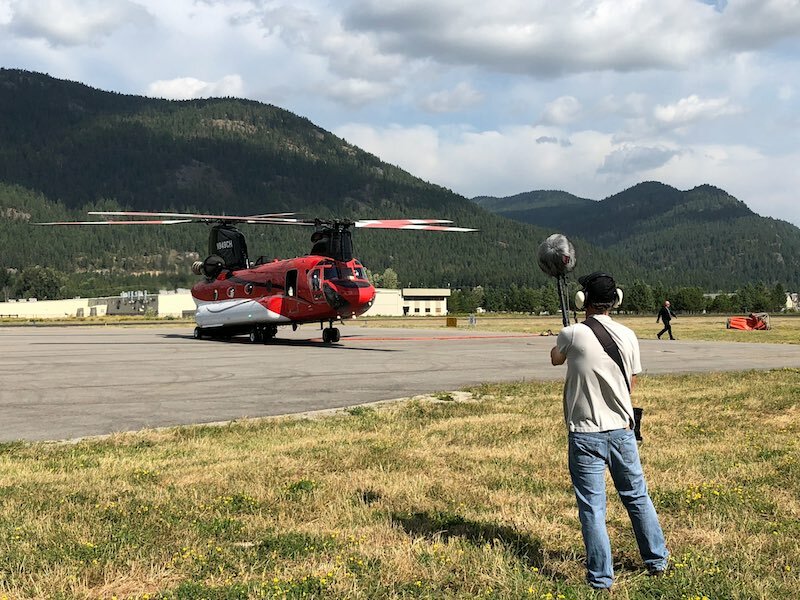 With the Schoeps MK4/MK8 MS Microphone in my left hand and my iPhone in my right it was tough to stay steady and standing until it was a few hundred feet in the air. Feel free to watch the video! 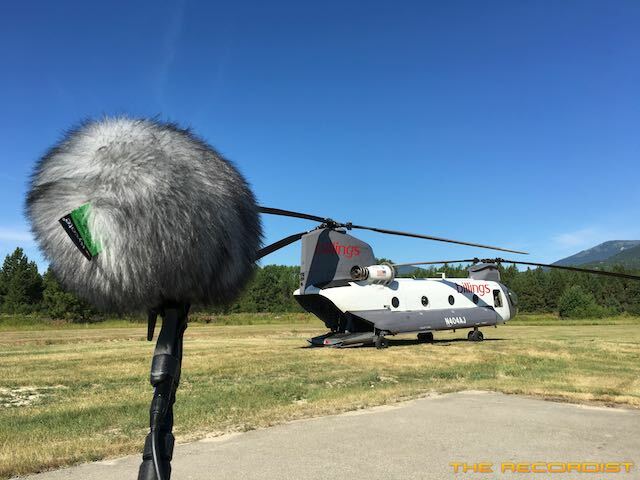 Here is what it sounds like recording a CH-47 Chinook helicopter close up. Being under this machine while it’s lifting off is thrilling to say the least… the wind gusts it produced almost knocked me down a few times. 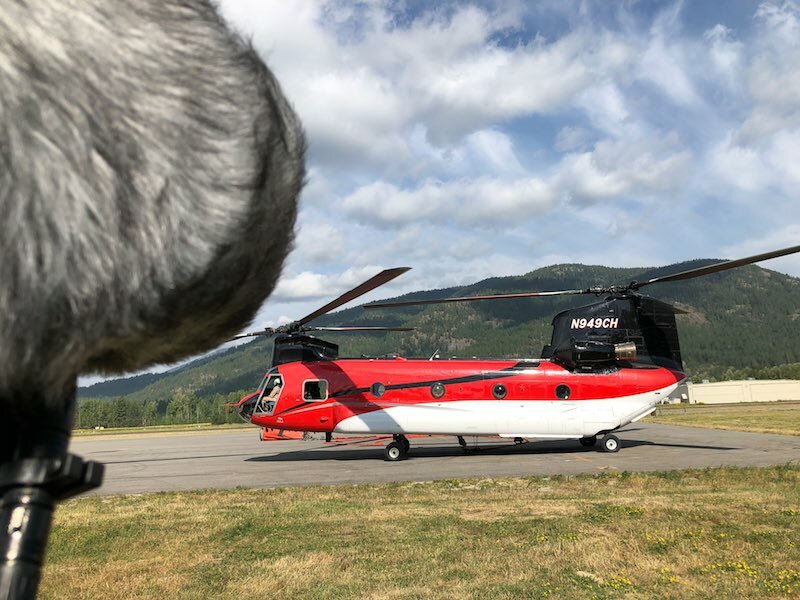 With the Schoeps MK4/MK8 MS Microphone in my left hand and my iPhone in my right it was tough to stay steady as you will see. 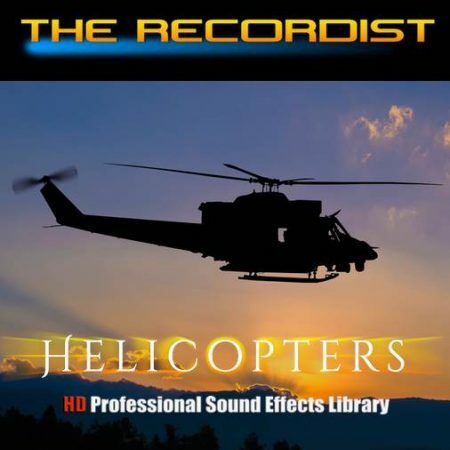 Audio in the video is from the decoded stereo Schoeps microphone set.